With this worksheet, the competence of the vocational student is determined to be able to represent his/her acquired experience for its consistency and comprehensiveness. This worksheet can be completed by the teacher, used in the classroom, after the placement has been completed. 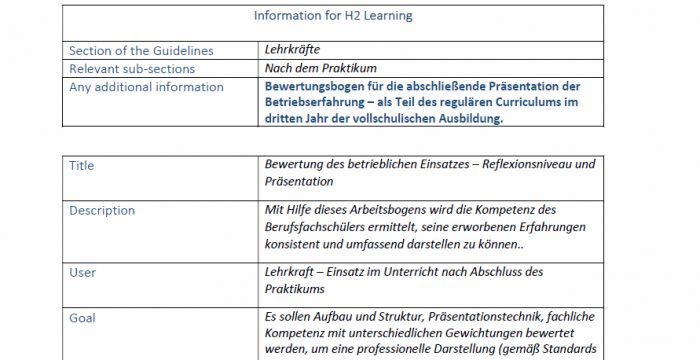 It should be shared with the students in advance of their presentations so there is transparency of the success criteria. It can also be considered for carrying out peer assessment should the teacher wish. 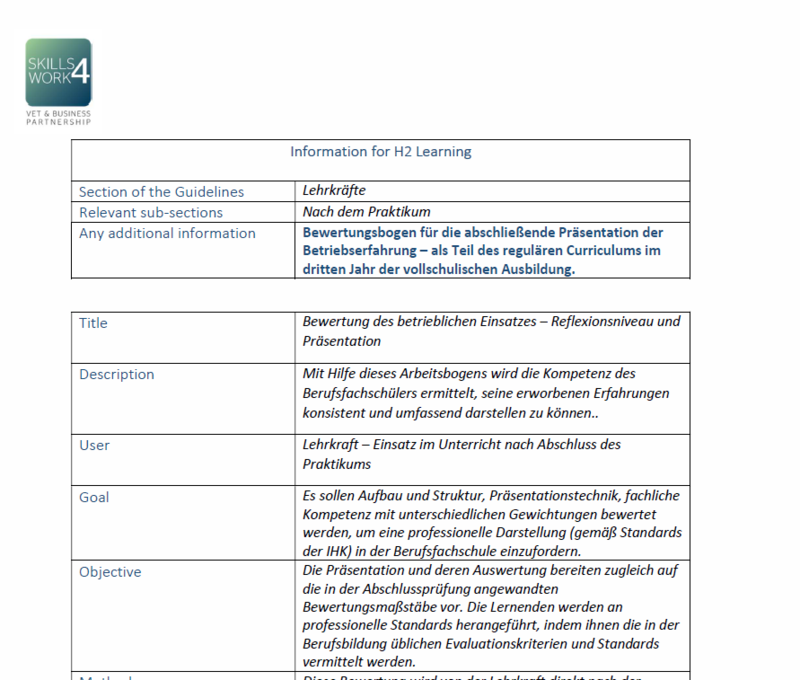 This resource is in German and was contributed by OSZ-IMT , Germany.